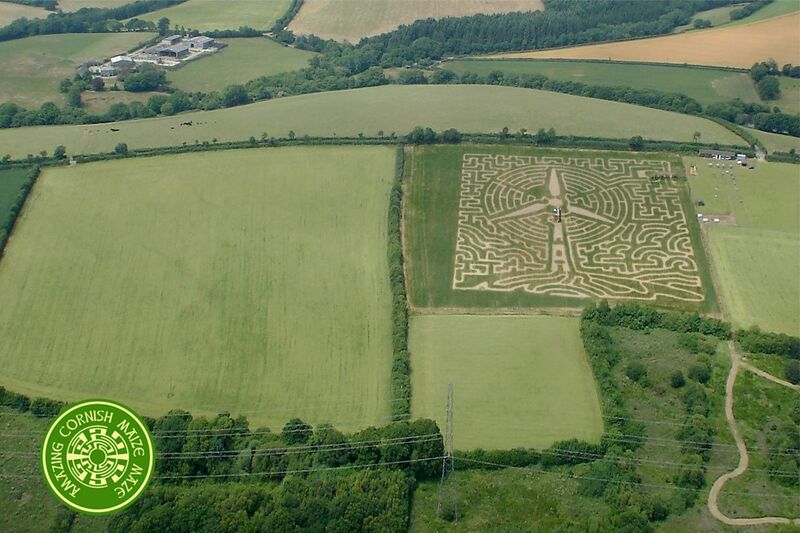 Tom & Angus of mazescape have over twenty years experience of designing maize mazes. Between us, we have designed hundreds of unique maize mazes and have an enviable track record of delivering the highest quality maze designs to farm parks and visitor attractions throughout the world. 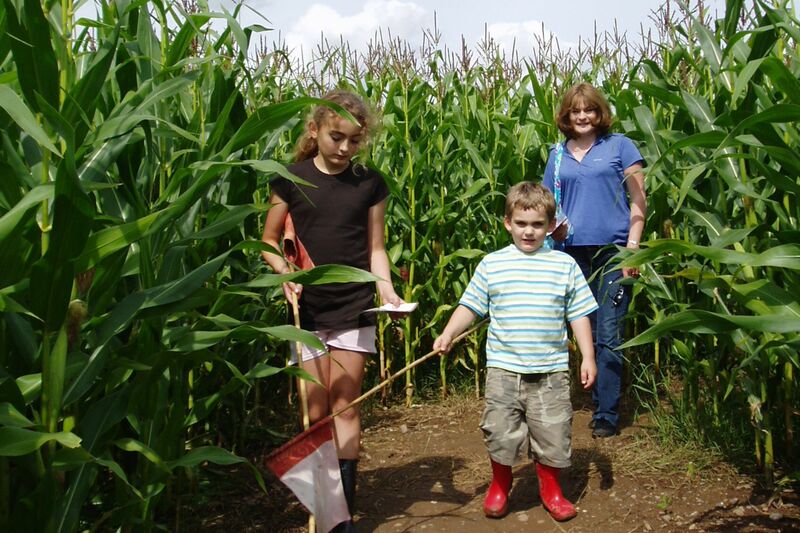 This year we have designed maize mazes for over thirty clients in the UK, Ireland, The Channel Islands and the USA, making mazescape the largest UK maize maze design company and one of the largest in the world. We are acknowledged as dedicated craftsmen of beautiful maze images and the finest maze puzzles available anywhere, so much so that other designers frequently exploit our themes and images … the following year! Choose from a ‘starter image’ supplied by us or provide us with an image of your choosing. We’ll set about turning that into a world class maze, and keep you in the loop all the way through to completion. 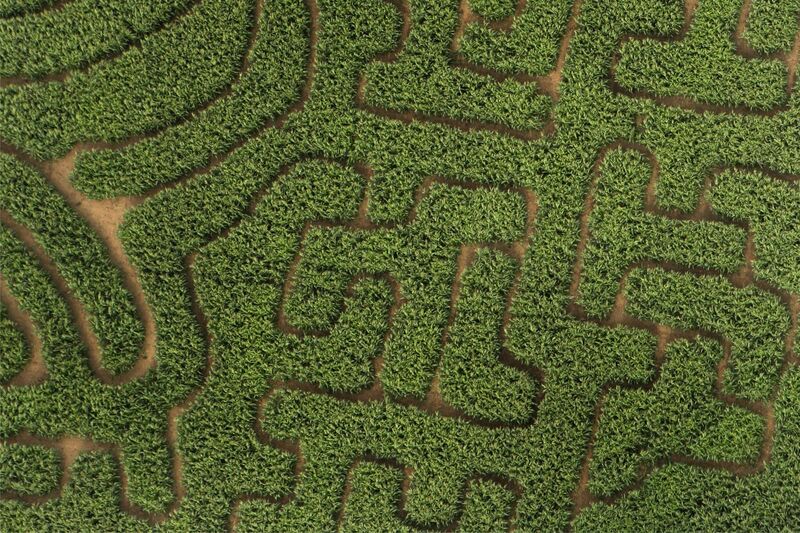 We do not sell old designs ‘off the shelf’, but we do create the world’s best maize maze designs. With our experience we are able to fine tune the design to your requirements. We develop themes to fit with clients existing attractions or alternatively using one of our annual themes, created to benefit those sites that require high quality design but do not require a full individual theme unique to their site. We’ll co-ordinate with our trusted GPS surveyors to provide you with an unrivalled service. The maze image will be processed for use in a GPS mapping system and an operative will lay it out in your chosen field. Here at Mazescape, we understand that not all farm parks are the same, we like to work closely with clients to establish exactly what type of maze will best serve your needs and give you and your visitors a truly unique experience. To give you the widest choice of design options, we have developed three ‘maze packs’ with different levels of service that will suit most locations. Alternatively you can build your own ‘Unique’ package from our maze menu, giving you complete control. Our maze packs offer a consistent, high quality design for visitor attractions and are great value when compared to other providers. *Game Pack incl.- Custom leaflet design (including theme introduction story, quiz, quiz panels, puzzles/games, site details, location map) – Custom press advert design x 2 – Character licence (If characters are developed for theme purposes – one year licence) – Character poster artwork x 5 – Peep-through panel artwork – Custom maze advertising poster artwork (A4 and A3) – Custom maze sticker artwork (given to all visitors completing the maze) – Print Liaison with your chosen printer.